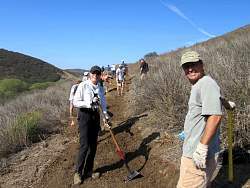 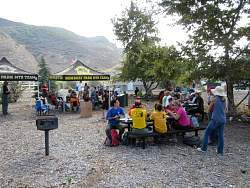 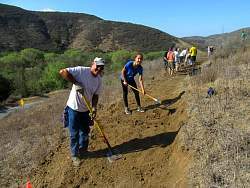 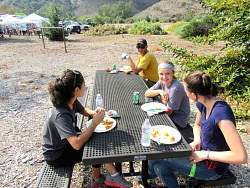 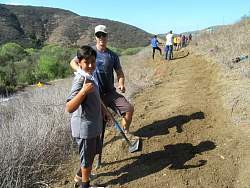 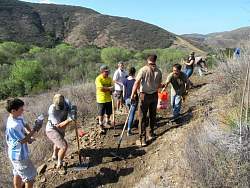 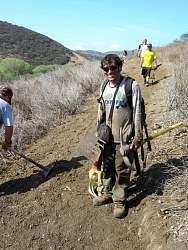 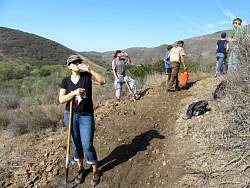 151 volunteers came out to build 3/4 miles of new trail! 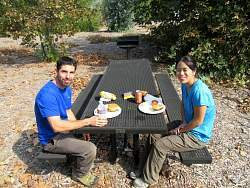 It's a good time for a break! 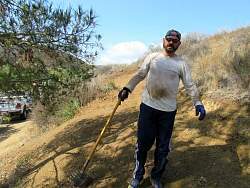 It took a surprising amount of effort to finish this section. 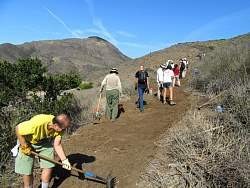 As you can see, there were lots of workers, and they did a great job, as did all the volunteers! 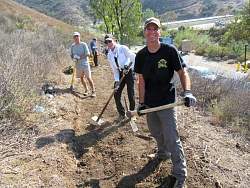 Steve Messer, president of CORBA, take trailwork seriously! 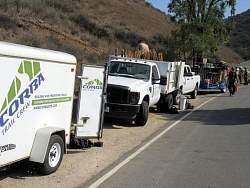 A line of vehicles parked along Hill Canyon Road carry our tools. 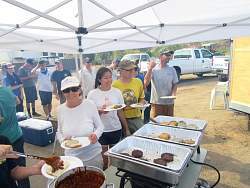 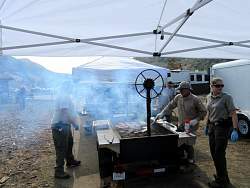 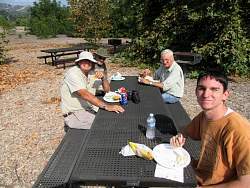 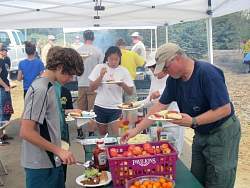 The COSCA rangers are cooking up a smokin' barbecue lunch for the volunteers! 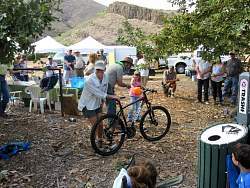 The grand prize of the gift give-away is a new mountain bike, donated by Giant Bicycles in Newbury Park. 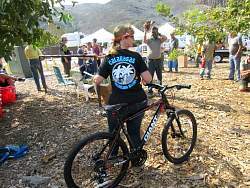 The grand prize winer was the Calabasas high schoolers mountain bike mom!